Neck and shoulder injuries, often accompanied by neck pain, are among the most common injuries and symptoms suffered in car accidents. And one particular injury, that has become synonymous with car accidents, is what's commonly known as whiplash. However, strictly speaking, despite what most people think and the type of language often used in the press and on television, whiplash is not an injury. Whiplash refers to a range of neck injuries caused when the head is thrown violently backwards and forwards (known in the medical world as hyperextension and hyperflexion). This most commonly happens if you are involved in a car accident, such as a rear end shunt, a side impact or other type of collision between vehicles. When you think about a whipping motion, the term makes perfect sense, as the neck mimics the same movement as the lash (the flexible part) of a whip. The phrase "whiplash" is an umbrella term for the types of neck injuries that are caused by this sudden motion. The proper name for the mechanism of the injury is "cervical acceleration-deceleration", and the lasting symptoms are referred to as whiplash associated disorders (WADs). WADs are the result of the damage to the intervertebral discs, facet joints, ligaments, and other structures of the neck that this forceful movement causes. Whiplash is a significant problem in the UK. In 2014, Aviva reported that around 80% of the motor injury claims it received involved whiplash. But it is important to remember that there is a lot of false information out there about whiplash and associated disorders, and many people believe that whiplash means nothing more than neck pain. However, this is far from the case. While some whiplash injuries will be minor and the victim will recover quickly, every accident and victim will be different, and some injuries to the neck can often be severe, possibly having a long-term debilitating effect for the sufferer. Here are a few whiplash injury facts that are not always known by the public. Whiplash does not occur only in high-speed collisions. In fact, someone in a car travelling as slow as 5mph could sustain a whiplash injury in a low-speed collision. Although whiplash is commonly linked to road traffic accidents, there are many other incidents that can cause it. It can be the result of a slip, fall, or sudden blow to the head or body while playing sports such as rugby, football, or boxing. According to the NHS, some people's condition will improve in a matter of just a few weeks or months, but whiplash can last over a year. It is therefore crucial that anyone who thinks they may be experiencing whiplash symptoms seeks medical treatment. The potentially serious effects of whiplash mean that if you have been in an accident, you should not sit at home and try to diagnose your injuries on your own. The effects can be too serious for that and it is essential that you make sure you are properly examined by a medical professional. Think of it this way: if you are given a clean bill of health then it will have been worth going to the doctor to put your mind to rest. On the other hand, if you have suffered an injury then your doctor is the best person to diagnose that injury and to tell you what type of treatment you need. You can expect your doctor to enquire about how the injury happened and any symptoms you're experiencing. Although it is possible for cases to improve on their own, your doctor may prescribe painkillers or refer you to a physiotherapist. If you have sustained whiplash injury in an accident that was not your fault, you may want to make a personal injury claim. Thompsons Solicitors has significant and proven experience helping those injured in all types of accidents receive the compensation they deserve for whiplash injuries. 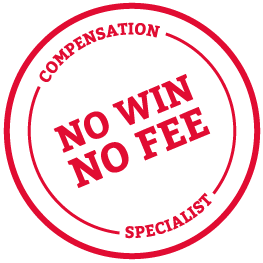 To get free whiplash compensation claims advice on a No Win No Fee basis call our lawyers today on 0800 0891 331.